Travel Pennies: What's it really like in a Tune Hotel? What's it really like in a Tune Hotel? Have you heard of Tune Hotels? This budget brand is fairly new to the scene - the first of their hotels opened in Malaysia in 2007, with the first London property launched in 2010. The founder of the group comes from a background in budget airlines, so it doesn't come as a surprise to learn that the same logistics are applied to the rooms. In short, think of Tune as the Ryanair of hotels. What does that mean? Well, you book a room at a great price, but all of those little extras come at a cost. In this case, that means you'll pay extra for WiFi, towels, parking... even the TV and hairdryer come at an extra fee. You can buy these as a bundle - the Comfort Package includes most of the extras and comes in at £10 per night. In short, unless you come incredibly prepared, the price you initially see is not the one you'll pay. Housekeeping is another extra - rooms in the Edinburgh hotel, where I stayed, are cleaned every three days (you can pay for additional cleaning). You even pay to have a window - most of the hotels have rooms without one, and those with come at (you've guessed it) a higher price. I stayed in the Edinburgh hotel for two nights recently, and was keen to see how this all works, and what it means for the guest. The rooms were surprisingly well designed, though relatively small, which is to be expected. With space at a premium, every little bit is utilised. Instead of a wardrobe, hangers are placed by the big mirror, with small shelving underneath. There's a mirror over the headboard which gives the illusion of space, and the window is large enough to fill the room with light. I liked the red, black and white colour scheme, too. Oddly, I quite enjoyed the lack of housekeeping. I liked the fact that nobody would be coming into my room while I wasn't in it (and it meant I didn't have to organise myself as much as I usually do - I can't bear the thought of someone thinking I'm messy). Most of the cons come from the pricing scheme. In the same way people can feel irritated with the Ryanair extras, it seems unnecessarily complicated to charge extra for things people take for granted, like towels. With a location in Haymarket, the hotel is a fair distance into the city centre - the castle is over 2km away. There are cool spots nearby (The Jolly Botanist is an excellent gin bar 30 seconds away), but you're looking at a 20 minute walk minimum to get to most areas of interest. It's worth doing your sums before you book. Take the little things into consideration - are you happy with the walk into town? Are you content in a small space, or are you an overpacker? If you're going to book, my advice is to ignore the lowest figure and book the comfort package - and, for the love of God, don't book a room without windows. Humans need light. If you're pinching the pennies, then it's well worth looking at - the prices are often far cheaper than the bigger chains, though names like Travelodge do have more central locations at a similar price. If the final balance comes out tops, then it's a good solid option. I made a video of the room I stayed in, so you can get a better idea of the space and concept. 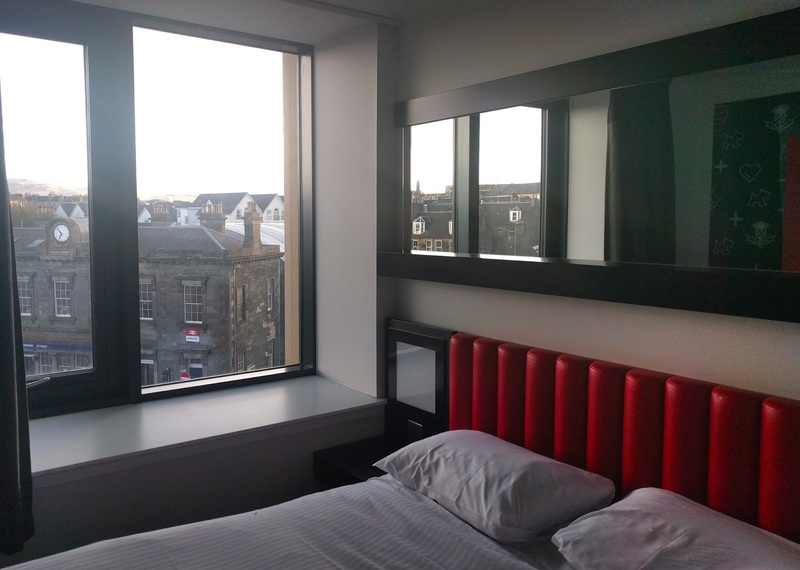 I stayed two nights in the Tune Hotel Haymarket as part of a press trip to Edinburgh. This article discusses some advantages and disadvantages to owning a home. It also discusses if renting or owning would be better for you. You can find host international there. They will be cheap and fascinating for longer time. It will find you to get a host. Thanks for sharing these all interesting things that makes A Hotel Good palace, We will also Follow these all things ans tips. we are best Low Cost Hotel In Agra city. Thanks for sharing your tour experience of Tune Hotel. I read your post. I really appreciate that. Thanks for sharing this post really great and wonderful article. You are talking about Tune Hotel which are really well-written.